An increase in cerebral pressure may cause dementia and could destroy the brain. 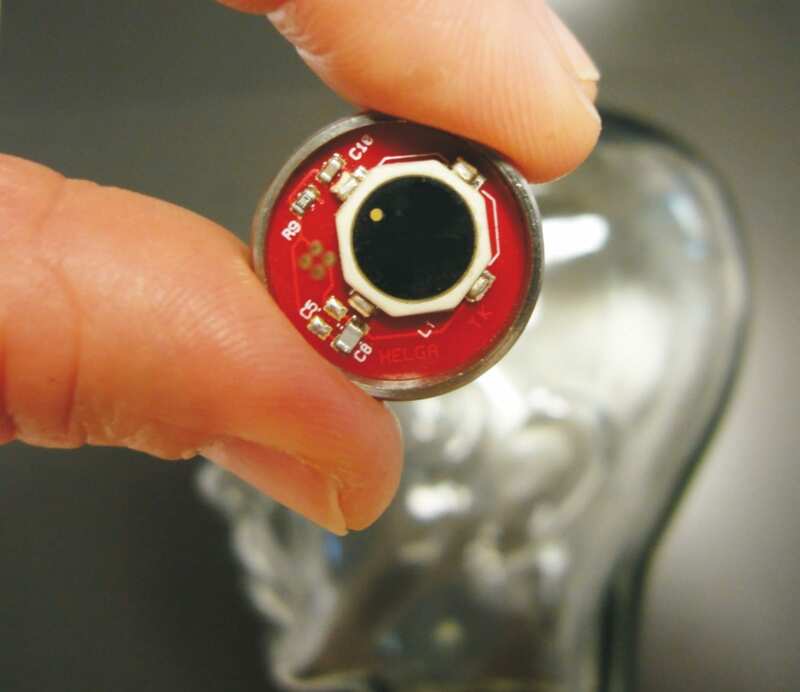 Companies have been seeking to find monitoring sensors that can be implanted into the brain, and read from outside the body. A tiny sensor may provide the help needed. For some time now, medical device engineers have been working on an intracranial pressure probe that operates without a cable and can be read from the outside using radio wave transmission. But there is no established product on the market to this date for long-term implantation, because the sensors always have the same problem: Their casing – which previously had been produced primarily from biologically accepted synthetics – allows moisture to penetrate, which destroys the sensor in just a few days – or even hours. Researchers at the Fraunhofer Institute for Biomedical Engineering IBMT in St. Ingbert have now developed a small sensor that really stays waterproof. They had to give up the idea of encasing a sensor with synthetic materials. Instead, they produced the casing from high-grade metal. From the outside, the probe resembles a thick button cell battery. It is only about one centimeter high, two centimeters wide and in the future, should get even smaller. Resting on its inside is a pressure sensor made of silicon, similar to those sensors used today in automobiles, to handle the demanding measurement tasks.